Work for Symantec Managed Security Services? Learning about Symantec Managed Security Services? "The best in all dimensions of security and service." What I liked most was the treatment, the professionalism and the empathy towards the organizations evidenced by their consultancy. In the same way, the knowledge acquired and exchanged with your academy makes up two of the many virtues that have to be highlighted. On the other hand there is a set of additional services and functions that really make up an impressive range of options. But each business has different needs and requirements. I can say that something I love about it is that they have a service for everything. I believe that every service and application is improved. Saying something I dislike would be unfair. I believe that Symantec is always innovating and offering us new versions of itself. Consequently, there is nothing unsatisfactory to date. 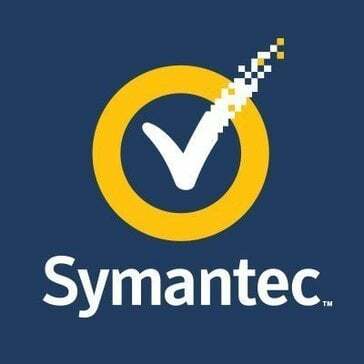 There are many security providers and computer services, all sooner or later revolve around symantec. Then, better from the beginning, allow to support them directly. The cloud management features and ability to keep others updated while off-site. Super easy to install and manage. The cloud-based is the way to go and keep the renewal going. What Network Security Services solution do you use? "Design Engineer / ERP Specialist"
The current build is a resource pig. Very difficult to work with. Wait until the next build to deploy / implement this service. The past builds were excellent but something seems to have happened. * We monitor all Symantec Managed Security Services reviews to prevent fraudulent reviews and keep review quality high. We do not post reviews by company employees or direct competitors. Validated reviews require the user to submit a screenshot of the product containing their user ID, in order to verify a user is an actual user of the product. Hi there! Are you looking to implement a solution like Symantec Managed Security Services?